Long PCT riders typically have truck and trailer support of some kind. Being able to trailer your horse, deliver feed and rendezvous with a farrier are necessary parts of a long PCT ride. Every once in a while you’ll need to get off the trail. Having a dedicated person with a truck and trailer to pick you up is very useful. Your horse will need to come with you, perhaps to a trusted stable while you do some chores. Don’t count on being able to ride into all towns; some of them have dangerous roads leading to them. With detailed research, a game plan of which towns to visit and which to ignore will become clearer. If you have a support person, they should be well prepped for the adventure too. They’ll need to keep calm when you miss your rendezvous points. Simply finding the trailheads can be difficult. Not all of them are suitable for horse trailers. They’ll also be spending a lot of time in the backcountry having their own adventures. There is an element of risk that must be seriously considered if you are trying to maintain a schedule while riding to a rendezvous location. If the plan is to meet someone at a specific place, day, and approximate time, you might decide to take chances that you should not. It is better to be late, or not show up at all, than risk injury. Unplanned layover days are also harder. The best solution would be to have some means of communication, like a satellite phone or a SPOT in order to communicate with your support person. They should be flexible and understand your adventure. MendoRider with his horse Primo. Traveling solo without a friend or family member shadowing you or having various people meet you by road will require an extra set of skills and a lot more preparation. You may do a lot of hitch-hiking and will have to pre-arrange some support from friendly equestrians along the way. After leaving his horse in good hands at pre-planned locations, one solo rider drove his truck and trailer ahead and left resupply caches near road crossings. Caching food is generally against the law on public lands. You’ll need to find appropriate places (ranger stations, barns, stores, garages, equestrian centers, etc) to legally store your food. Be sure that food left behind is well protected from rodents and other animals. By leaving your food, as well as your horse’s processed feed, at safe locations, you can resupply yourself without having to schedule people to meet you all along the way. In some places you can mail supplies to yourself at a post office or a location near the trail that agrees to accept your supplies. Supplying your own feed, rather than relying on what you can purchase off trail, is predictable and helps you maintain a consistent diet for your animals. There is a lot that can go wrong on a long distance ride and it is good to have the resource of another person. Besides, having a riding companion will add the dimension of a shared experience to your ride. Riders can double up on some supplies or share a pack animal and extend their range. Some riders have found that riding with rotating companions can help solve logistical problems. It works like this — You and your first companion start out on the trail. At an agreed location you are met by the second companion who brings supplies and rides the next leg on the horse used by the first companion. The first companion drives the vehicle back home. This “leap-frogging” can be done on section or thru-rides and could involve multiple companion riders. The availability and quality of grass varies greatly along the length of the PCT – sometimes it is excellent, sometimes there is none at all. Grazing is not allowed everywhere. There are restrictions, especially in Wilderness areas, that regulate whether certain locations can be grazed. Sometimes it varies by season too. Be sure to fully research your trip by checking with the local land management agencies for local regulations. It’s a good idea to carry multiple types of processed feed. Ease your horses into what will become a supplemental “trail diet” a few weeks before the start of the trip. One rider found success with a mixture of one-third each of alfalfa pellets, Equine Senior and cob with molasses. All feed should be certified weed-free so as not to introduce invasive species that may destroy the fragile wildlands you recreate in. Test carrying an average of five pounds of feed per animal per day. This will require a lot of feed capacity and the weight will add up. On longer sections, a solo horse and rider should be able to carry nearly 30 pounds of feed in pommel and cantle bags. 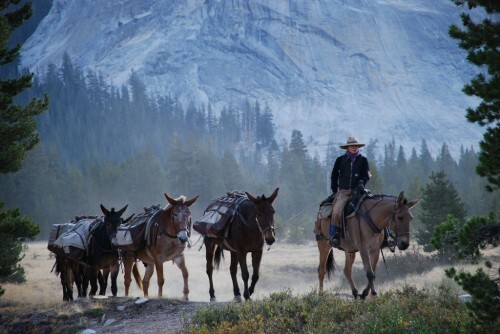 While on the trail, feed your horse the supplement twice per day from his nose bag while he is on his high high-line. Feed before his morning graze and after his evening graze, each grazing period being about two hours (or until the horse loses interest in grazing and starts to wander). The amount of the supplement to actually feed will depend on how good the grazing is at camp. You might feed anywhere from two pounds to about nine pounds. Avoid feeding your horse grain when he is very tired. Better yet, never allow him to become very tired or stressed. Take your time and allow your horse to graze whenever possible throughout the day. As time allows take layover days at locations with good grass and water. At resupply stops, plan to give your horse an extra five pound feeding. Riders with long distance aspirations will likely need to ride occasional long days. Generally, the slower you go, the safer it is for you and your horse. Remember that a primary duty is the safety and comfort of your animals. You might be able to ride to exhaustion and recover. Your animals might not recover. You will rarely, if ever, want to ride as far as you can in a day. 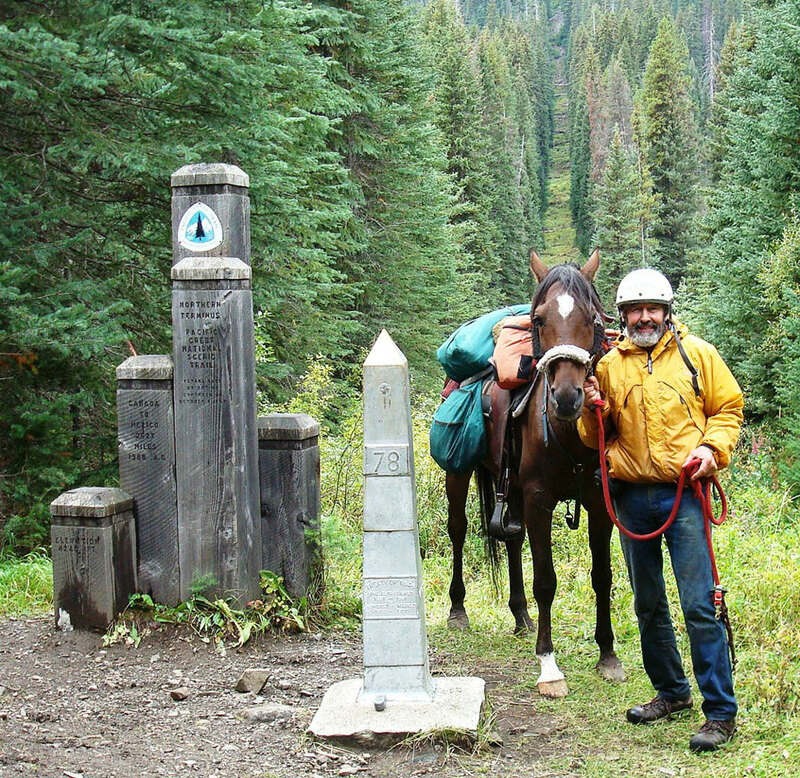 Allowing adequate time for grazing while in camp and along the trail, some people find, results in riding an average of 15 to 20 miles per day. Of course, the distance you can do in any particular day is very dependent on the terrain, elevation, condition of the animal and availability of water. On long rides you will also want to include layover or short days. Don’t put yourself in a situation where you and your horse are pushing too hard. Again, you don’t know your horse’s limits and needs as exactly as your own. Pressure to get to a meeting place, to make miles, to get to Canada, to ride a certain section of trail in a “pure” way puts you in danger and has killed horses.